Posted by Sam Smith on Friday, September 9th, 2011 at 7:03pm. Living in Newport Beach has it's many perks, especially for those who live on Balboa Island. Be surround by the water from bustling tourists and quaint shops makes Balboa Island the hot spot to be in the summer time. Many are not aware that there are different sections to Balboa Island which includes a small piece of land separate entirely by water on the south side and thus named "Little Balboa Island." You won't find two many homes for sale in this section of Balboa Island do the small number of homes existing on the Island. What you will find is charming Spanish, Mediterranean, Cape Cod & Cottage style homes with bayfront and ocean views that make you forget the pressures of life. Currently, there are 5 properties for sale on Little Balboa Island ranging from $1,495,000 to $3,895,000. If you are in the market to buy a home in Balboa Island under $2,000,000 you may be interested in a Cottage style home that just came on the market for $1,995,000 on Little Balboa Island. No matter where you decide to live in Newport Beach, visiting the wonderful homes on Balboa Island is a fun endeavor. 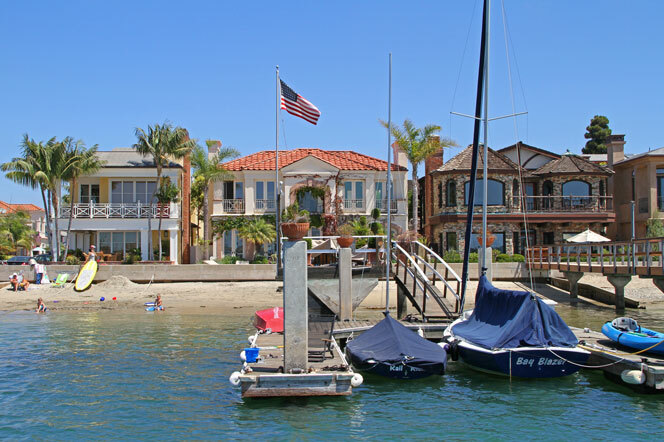 We encourage you to visit this wonderful homes on the Balboa Island in Newport Beach!